A Nashville man is due in court this afternoon after his dangerous driving, leaving a Franklin car show, caused a crash on a busy stretch of Cool Springs Boulevard. 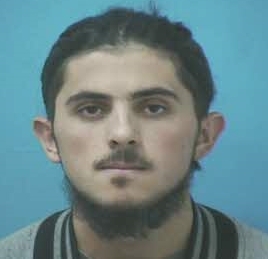 Ahmad Mouzory, 18, of Nashville, was leaving the parking lot at 633 Frazier Drive at about 11am on November 7. While pulling out, in front of a group of car enthusiasts, Mouzory rapidly accelerated, losing control of his car, spinning out and landing in the median. Mouzory left the scene, never reporting the crash to police. Investigating Traffic Unit Officers later confirmed what had happened, and Mouzory’s involvement. This Instagram video, located by investigating officers, confirmed reports of Mouzory’s recklessness. On November 15, he was charged with Reckless Driving, Leaving the Scene of a Crash, and Failure to Report a Crash. The social media video that captured Mouzory’s recklessness clearly shows the danger of his actions while pedestrian spectators stood close by, and unsuspecting motorists traveled this busy Franklin roadway. Franklin Police have increased officer presence at these types of car shows, where spectators routinely encourage drivers leaving the event to peel out, on their way out. More video of similar reckless driving on Franklin streets crowded with motorists and pedestrians can be seen below. Glad you caught him. By the way, I watched some of the secondary video and only saw cars driving by. Did not see any reckless driving? By the way, what was an 18 year doing with such an expensive car in the first place?